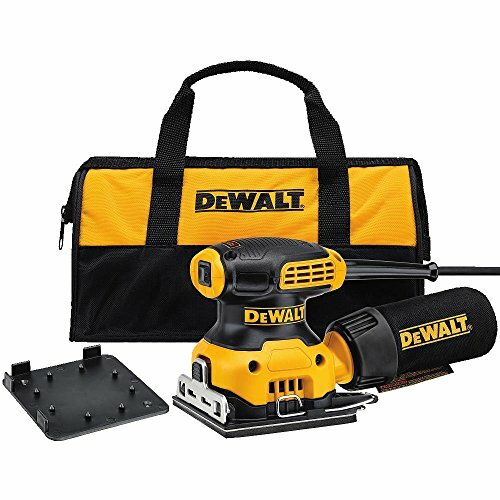 The DEWALT DWE6421 5" Random Orbit Sander Kit features a 3.0 Amp motor that spins the pad at 12,000 OPM. The shorter height of this sander allows the user to get closer to work piece. 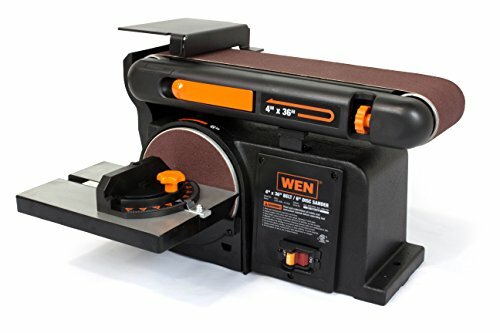 It has a rubber over-mold in all of the critical areas of the sander and a separate counterweight design reduces vibration. The switch is dust-sealed to protect against dust ingestion for longer switch life. 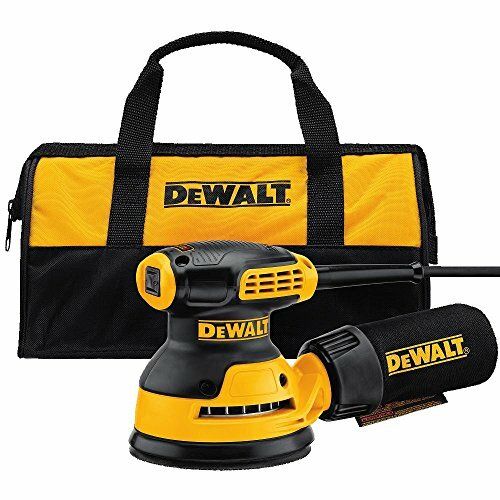 This sander offers improved dust collection and interfacing with our vacuum locking system; the dust bag has innovative one-hand locking system, the dust port is designed to fit directly to DWV010 or DWV012 dust collectors. To attach dust port to other vacs with 1-1/4" hoses use DWV9000 universal quick connector. Commonly used for sanding wood, sanding metal and sanding plastics. Includes: Sander, Owners Manual, Dust Bag, Carrying Case (bag). The DEWALT DWE6324K 5" Variable Speed Random Orbit Sander features a 3.0 Amp motor that spins the pad at 8,000 - 12,000 OPM. Its shorter height allows the user to get closer to work piece for sanding. 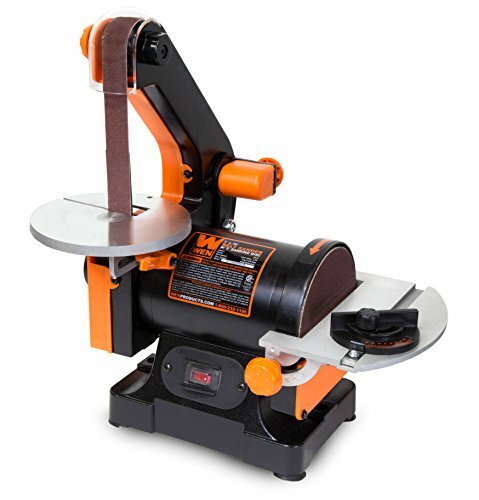 It has a rubber over-mold in all of the critical areas of the sander to reduce user fatigue. A separate counterweight design reduces vibration for improved comfort and an improved dust-sealed switch to protect against dust ingestion for longer switch life. Improved dust collection that interfaces with our vacuum locking system. The dust bag has one-hand locking system - and the port is designed to fit directly to DWV010 or DWV012 dust collectors. To attach dust port to other vacs with 1 1/4" hoses use WV9000 universal quick connector. 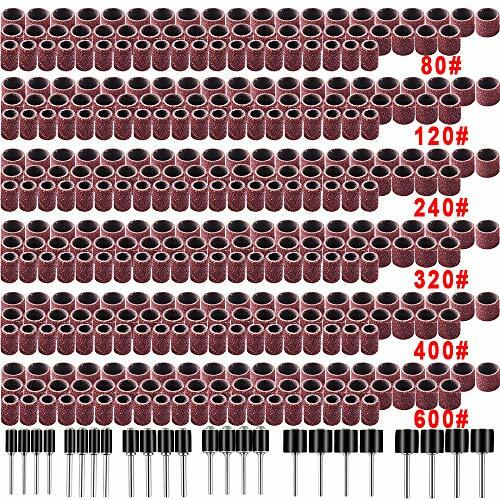 Commonly used for sanding wood, sanding metal, sanding plastics. Includes: Sander, Dust Bag, Owners Card, Carrying Case (bag). 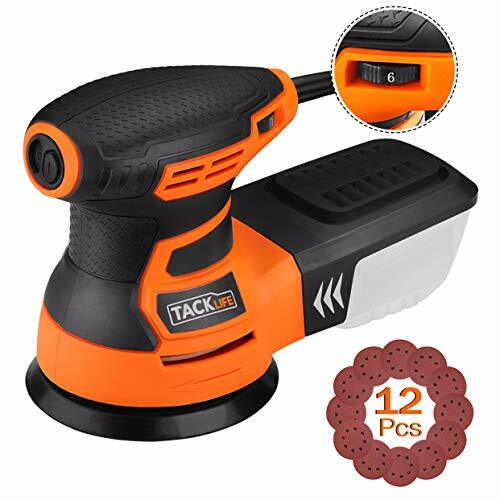 The Tacklife PRS01A 2.8 amp 350 W 5-inch random orbit sander bringing DIYers close to the work surface, This sander provides fast, efficient material removal with 2.8 amps of power generating 13,000 orbits per minute. A paddle switch allows for easy on/off during application. Located at the top of the sander, the switch is activated by pressing down naturally with the palm of the hand as if the sander is in use. 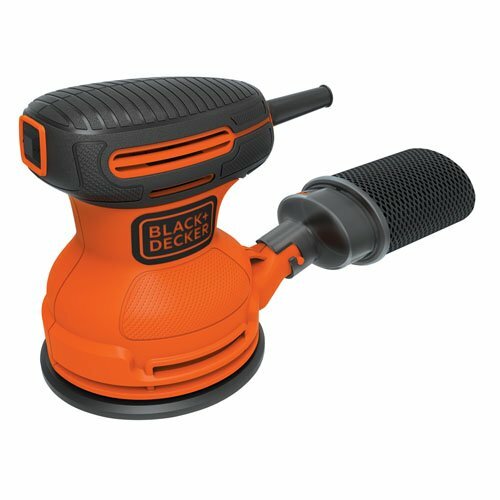 The sander can then be locked in either the on or off position for convenient, one-handed use. High-performance dust collection provides a clean work surface. With a compact size and ergonomic design, this tool can get into tight spaces easily and maximize user control, ideal for the DIY homeowner. Strong Applicability 6 Adjustable speed dial supports you to monitor the exactly right speed according to different work; 3.0A (350W) /13000 OPM motor offers strong power, It can work 13000 orbits per minute comparing with traditional manual grinding. 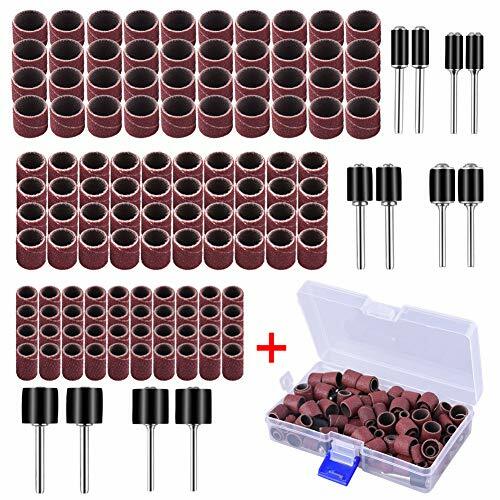 12Pcs Sandpapers Supplied Sanding Discs 5-inch 12pcs (6Pcs X 80 & 6Pcs x 180 Grits) lasts the sander a long service life and meet your different applications of removing paint from wood, metal, plastic of corners and other hard-to-reach areas. High Performance Dust Collection It provides a clean work environment with a compact size and ergonomic design. This sander can get into tight spaces easily and meet maximize user control, the ideal for the DIY homeowner. 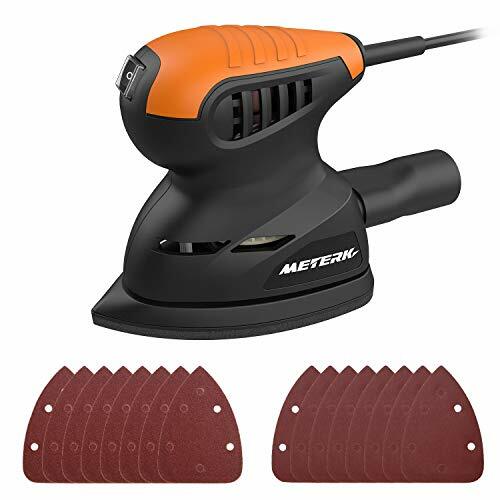 Efficient and Comfortable Design Rubberized palm grip design for improved operator comfort and control; Located at the top of the sander, the switch is activated by pressing down naturally with the palm of the hand as if the sander is in use. Ideal for Indoor Work Precision engineered all-ball bearing construction for reduced vibration and noise, the machine works stably with low vibration, low noise, ideal for indoor work. Not suitable for wall sanding, dust of the wall is too thin to block the collecting system, dust is easily diffused, can't achieve the desired dust collecting effect. 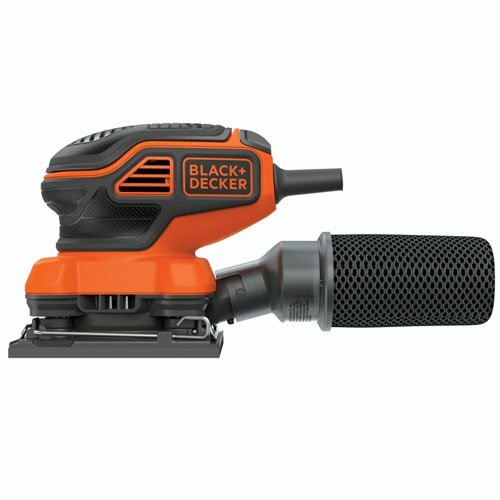 Black & Decker BDEQS300 1/4 Sheet Orbital Sander features Paddle Switch activation for easy on/off during application . 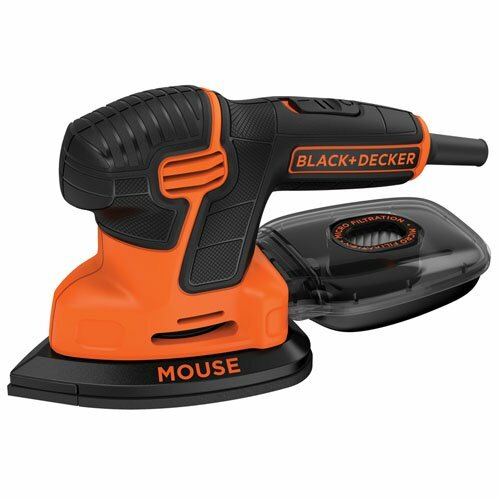 This sander runs at 1,600 orbits/minute, at 2.0 amps of power for efficient material removal, but with a compact size and ergonomic design that gets into tight spaces and maximizes user control. 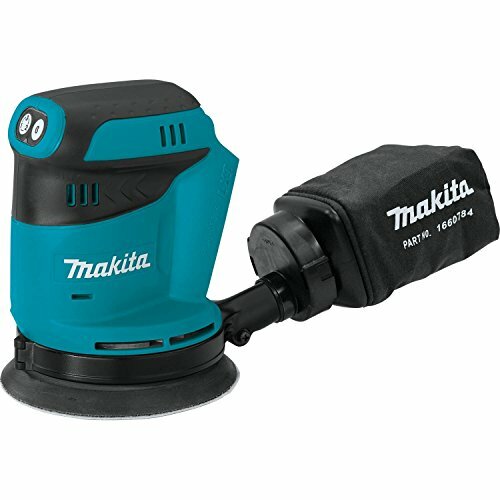 This sander offers high performance dust collection to provide a clean work surface. 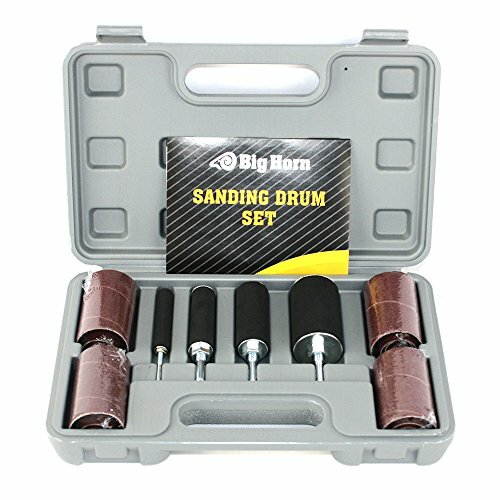 Best for use in finish sanding and detail work. 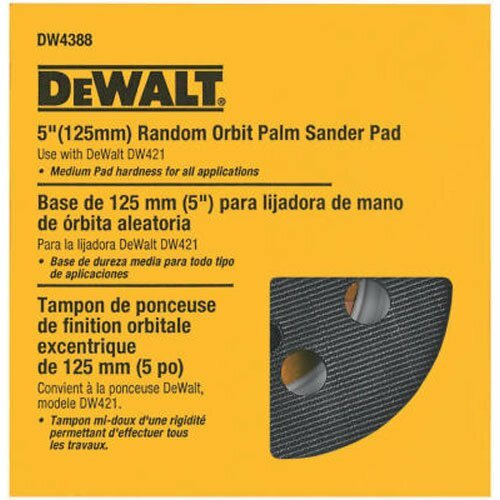 Get continued use out of your DEWALT DW421K palm sander and DW423K orbit sander with these first-rate replacement rubber DEWALT orbital sander pads. Meterk mouse detail features a 1.0 Amp motor, which can provide 13,500 orbits per minute. 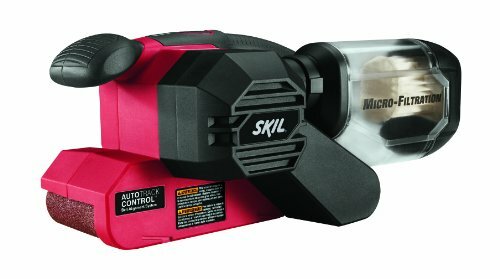 A great combination of compact sander with soft grip and efficient DC motor allows for easy and comfortable use. 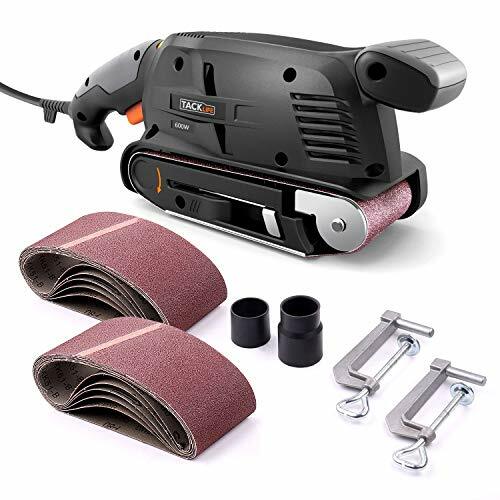 Along with variety pack accessories, it makes an ideal smart sander for all types of sanding projects around the home or a flexible sander for anyone who demands sanding deep into corners and other hard-to-reach areas. The Bosch ROS20VSC 5" Random Orbit Sander/Polisher furnishes an optimized combination of pad orbit and rotation that delivers fast removal and a well-blended, ultra-smooth finish. This tool is designed to allow finish carpenters and cabinet makers to complete their tasks quickly and to exacting standards, without swirl marks. 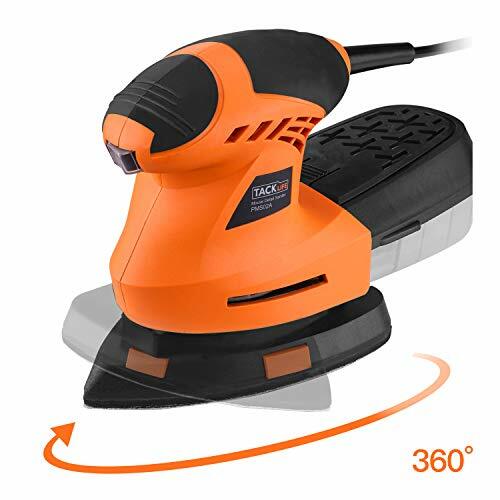 This sander allows users to find the perfect speed for whatever task they need to complete, with an optimal on-board system for filtering fine dust. The 18V LXT Lithium-Ion Cordless 5" Random Orbit Sander (model XOB01Z, tool only) delivers increased efficiency and mobility to woodworkers. The XOB01Z features three speed settings, superior ergonomics and up to 40 minutes of run time on a single charge (battery sold separately). Match the speed to the application with three speed settings (7,000/9,500/11,000 OPM), which are easily changed with a one-touch electronic control switch. The large 1/8" random orbit action is engineered for efficient sanding, fast material removal, and a swirl-free finish. The pad brake reduces free-spin for improved overall finish, and a control system regulates pad speed at start-up. 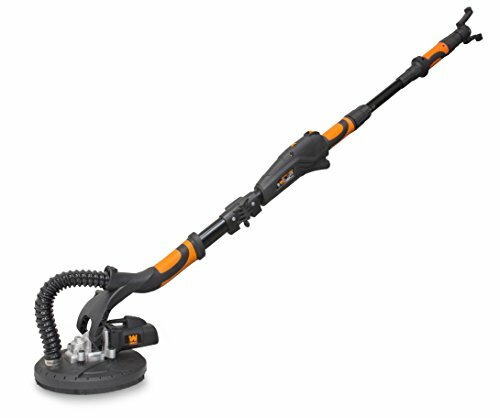 The XOB01Z uses quick-change 5" (8-hole) hook-and-loop abrasive paper for increased versatility.